This Thursday, I will be voting No in the referendum vote to change the way we elect our MPs. I don’t see why people who voted for a candidate who came bottom in a contest should have equal footing with the votes of people who voted for the top two candidates. The principle of one person one vote, does not exist with AV. AV signals a shift from favouring most popular candidate to favouring the least unpopular. MPs will not reveal their true beliefs and convictions as they would be scared that 50% of people in their constituency will not support them anymore. Many find it hypocritical that the Labour Party and Conservative Party both use elements of AV to elect their leaders but the Tories and many from Labour are not supporting this system to elect MPs. However, using this system to elect your Party leader where voting is a vote among colleagues and there is a broad agreement with ideology between all candidates up for selection, and selecting an MP where people up for election have radically varying ideologies is completely different. To put it simply, I have no worries whatsoever that someone who voted Diane Abbott in the Labour leadership contest in 2010 had equal value to people who voted Ed Miliband or David Miliband. But I have an issue when it comes to electing MPs and people who voted for the British National Party having their vote eventually counting for equal value with people who voted for either of the top two candidates. I also disagree that AV will end safe seats for life. I believe that it will get end some seats being safe, but I also believe that it will create some safe seats. For example, if we take the results of Brent Central at the last election which you can see here (LINK), under AV, Brent Central is likely to be a safe Lib Dem seat once Tory votes are redistributed rather than a hotly contested marginal where MPs can genuinely be held to account. I agree that there is a case to change from First Past the Post, but AV is the wrong change. I feel there are more proportional systems out there, like the one we use to elect our London Assembly which keeps the constituency MP to voter link on a First Past The Post basis, but also has a strong element of Proportional Representation with a top up list vote. 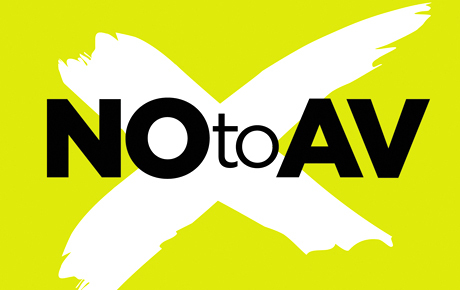 I could go on, but I hope this Thursday, you will all go out and join me in voting No to AV. Posted on May 3, 2011 May 2, 2011 by Cllr Krupesh HiraniPosted in Con Dem Nation, GeneralTagged Alternative Vote, Alternative Vote system, Approval voting, AV, AV Referendum, British National Party, David Miliband, Diane Abbott, Ed Miliband, First Past the Post, Labour, Member of Parliament, NOtoAV.